After years of very limited production, the Vegas Cubanas brand is back in regular rotation and will be once again widely available in late May. Vegas Cubanas was first produced by José "Pepin" Garcia in 2003 when he was making cigars at the El Rey de Los Habanos factory in Miami's Little Havana. At the time, El Rey de Los Habanos was a small operation. As the company grew and expanded into Nicaragua, lines like My Father, My Father Le Bijou 1922 (Cigar of the Year, 2015) and Flor de Las Antillas (Cigar of the Year 2012) became very popular while interest in Vegas Cubanas declined. The brand was never entirely discontinued, but produced in very small quantities for select retailers and distributors. Now, My Father Cigars has brought it back to regular production and is making the line at its large factory in Estelí, Nicaragua. According to the company, the filler and binder tobacco for Vegas Cubanas is harvested at the Garcia family's farms in Nicaragua (Estelí and Jalapa). 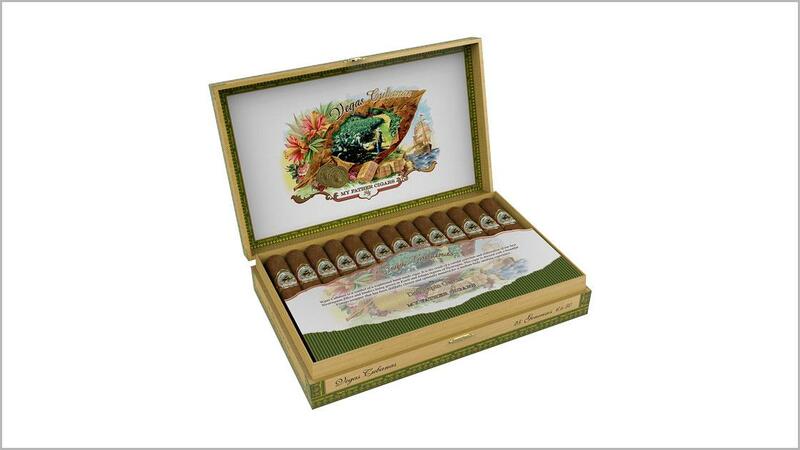 The Garcias are not commenting on the origin of the wrapper, which they will only say is Corojo. The cigar is blended to be medium bodied and is made in six sizes: Coronas, at 5 1/2 inches by 44 ring gauge; Invictos, 5 by 50; Generosos, 6 by 50; Delicias, 7 by 50; Imperiales, 6 1/8 by 52; and Magnates, 7 5/8 by 49. Packaged in boxes of 25, Vegas Cubanas cigars are slated to carry suggested retail prices ranging from $6.38 to $7.76. The artwork has been slightly updated. While the band is essentially the same, it now has the words "My Father Cigars" printed in small letters (My Father Cigars did not exist when the cigar was first created). The die-cut shape of the band has changed slightly as well. For a vertical brand tasting of Vegas Cubanas, see an upcoming issue of Cigar Insider. This article first appeared in the April 18 edition of Cigar Insider.